Often confused with a diamond shape, the cut is actually the grading that determines how well the diamond sparkles. It encapsulates Brightness (white light reflecting from the top surface), Fire (flares of colour) and Scintillation (flashes of light). 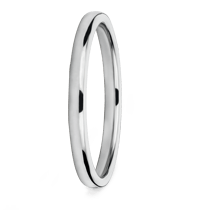 The cut grading currently only applies to Round diamonds as they are technically easier to measure in terms of light performance. 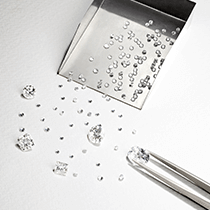 Other shapes – such as Princess cuts, Cushions cuts, Emerald shapes, do not have a cut grading on their certificate but 77 Diamonds provide an estimated cut grading based on equivalent parameters. Cut grades range from Excellent, Very Good, Good, Fair and Poor. The grading takes into account various attributes of the diamond that cannot be seen or measured with the untrained eye. An excellent cut grading will have the best light performance, mainly influenced by the relationship of surface table and the depth of the diamond (not too deep or too shallow). It is very hard to see the difference between an Excellent and a Very Good cut diamond as the direction of light is the same in both cut gradings. We therefore recommend you try to stick with an Excellent or Very Good cut, but if needed to fit the budget, a Good cut can offer an excellent-value alternative without any major compromises. 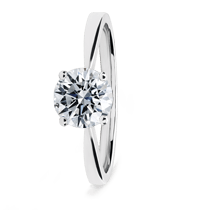 Just make sure you are not on the "Deep" side or you will end up with a diamond that looks smaller than the actual carat weight.